Heat the BBQ to a very high heat. 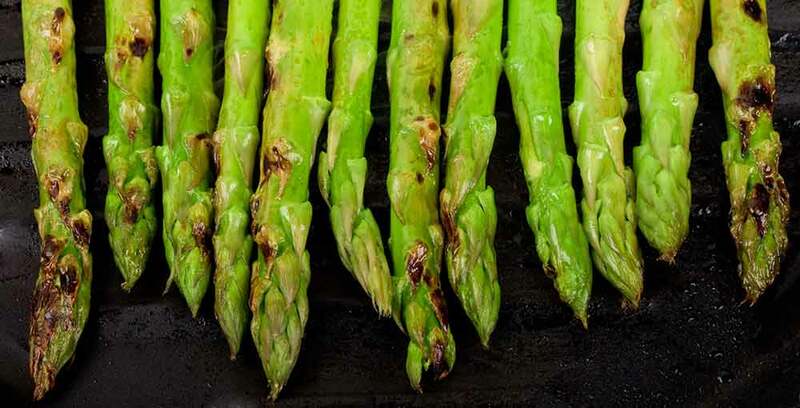 In a large bowl, add the asparagus spears along with the rapeseed oil, malden sea slat and black pepper. Mix thoroughly to coat the vegetables accordingly. Place on the grill (the opposite ways the grill bars run!) and turn them every 30 Seconds to prevent them burning. Once they looked cooked or 3 Minutes has passed, remove them and place them on a plate. Place the lime wedges on top and serve with your choice of chilli jam for dipping!